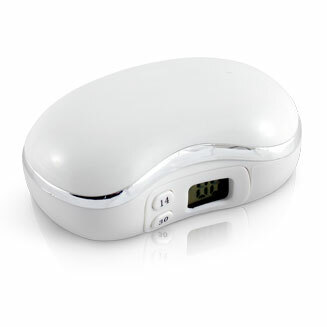 contact lens mirror case with timer has both 14 and 30 day reminder options and comes in a range of 4 great colours! comes in 5 fun stylish designs! 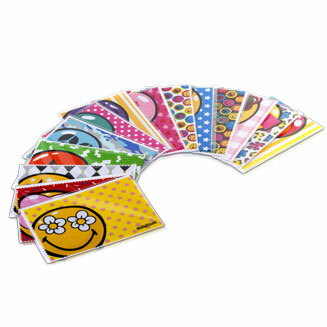 comes in an amazing range of travel based colours and designs.. it doesn’t get cuter than this! Sufferers of age-related macular degeneration (AMD) will be familiar with its symptoms. However, many people may have never heard of the condition, which seriously affects the eyesight in elderly people. That is why BBC show EastEnders has decided to shine a light on it and has teamed up with the Royal National Institute of Blind People (RNIB) to give an accurate and honest portrayal of someone suffering with AMD. Last month, viewers saw veteran character Dorothy Branning losing her vision, and after plucking up the courage to visit the doctor with help from her pal Patrick Truman, she was diagnosed with wet AMD last week. Dot, as the character is affectionately known, has since received an injection inside the eye, which is intended to stop new blood cells forming. These tend to swell and bleed and are the cause of damage to the central vision. Despite one in ten people over the age of 65 living with AMD, it is a condition that is rarely discussed, and therefore, many people may have never heard of it and might not know what support is available. The BBC has helped raise awareness of the condition, which is incredibly important as it affects as many as 600,000 in the UK. Working closely with the RNIB, the broadcast corporation has been able to portray the degeneration of Dot’s vision accurately. The organisation has provided EastEnders with treatment options, facts, and advice on the storyline as much-loved Dot copes with her sight loss. Those who wear contacts on a daily basis may want to look for new barrel contact lens cases. Browse our huge range here at Optipak. If you’ve been enjoying playing Pokemon Go over the last couple of weeks and really can’t get enough of roaming around your local area, hunting for little imaginary creatures, then you’ll likely get a kick out of this latest news report. According to the Daily Mail, chief executive of Niantic Labs John Hanke is keen to create contact lenses that will help make Pokemon Go even more realistic for gamers. These lenses would work by projecting images onto the real world so you’ll be able to see your animated characters without having to pick up your phone in order to do so. Given that people have actually been hit by cars while crossing the road in order to catch Pokemon, having a pair of contact lenses that allows them to look where they’re going while still playing the game certainly seems like a good idea to us here at Optipak! Whether they become a reality or not, however, one thing will always remain the same – you’ll still need contact lens cases to help protect them from dirt and debris when they’re not being worn. Check out our website if you’re in need of a new case for yours. Protecting your eye health is paramount and if you wear contact lenses, you’ll need to be a bit more vigilant in this regard than someone who just wears glasses instead. Dr Sumitra Khandelwal from Baylor College of Medicine in the US has just reminded contact lens wearers about the importance of taking extra care when swimming, as infections can be borne via water like lakes, rivers, hot tubs and swimming pools. Minor infections, irritations and more severe health problems like ulcers can occur by swimming in water with contact lenses in, he noted. It’s also possible to develop acanthamoeba, which is caused by little parasites that affect the eye, resulting in pain, blurred vision and redness. “These bacteria love water. They need natural water to grow. They stick to contacts and eventually contact lens cases. Pseudomonas bacteria also like to invade the cornea through micro scratches which occur when swimming but can also invade even when just removing lenses,” Dr Khandelwal said. Given figures from the Association of Contact Lens Manufacturers showing that one in 12 adults in the UK now wear contacts, it seems as though there are many people out there who could benefit from Dr Khandelwal’s advice. If you’re new to wearing contacts, make sure you ask your optician lots of questions so you know what to expect and what you should and shouldn’t do. For example, they’ll stress the importance of taking your contacts out before falling asleep – something that should be avoided at all costs! It can be difficult at first to tell if you need to wear glasses or contact lenses, which is why it’s important that you have your eyes tested at least once a year so you can be assured of your optical health. If you think you might be short-sighted (also known as myopia), you’ll likely find that objects in the distance start to appear a bit blurred, although you’ll still be able to see objects up close clearly. Short-sightedness is becoming increasingly common, with NHS figures suggesting that it affects up to one in three people. Symptoms include regular rubbing of the eyes, headache or tired eye complaints, sitting closer to the television or needing to sit near the front of a classroom – certainly something to look out for if you have children who may well develop this kind of eye condition. If your eye test does show that you are short-sighted, you can either wear glasses or contacts to help your eyes focus better on objects in the distance, or you could have artificial lens implants where a lens is permanently inserted into your eyes so they can focus. Bear in mind, however, that this latter treatment is not typically available on the NHS. Laser eye surgery could also be an option, although it’s not suitable for children and again is unlikely to be available on the NHS. Other problems associated with short-sightedness you need to look out for include lazy eyes, squinting, glaucoma, cataracts and retinal detachment. If you’re concerned, make sure you book an appointment with your optician sooner rather than later. If you need to stock up on contact lens cases, browse our website here at Optipak to see what we have in stock. Have you ever gone out in public with your contact lens case and felt like it did not really “fit” your personality? Well, there are actually many ways that you can customize your contact lens case to suit your personality. Read on to find out three ways that you can customize your contact lens cases. Whether you have Rhine stones that are stick and peel or actual Rhine stones that you would have to glue on manually, they make a great addition to a contact lens cases. So long as you properly maintain your contact lens case and do not let it drop a lot, some Rhine stones should suit your customization of the case quite nicely. You can use sticker gems, too, but if you really want to go in style, then use some real Rhine stones. If you have a special dye kit or you use safe food coloring, then you can re-color your contact lens case. Normally they come in green and white, but you can change the color to anything that you want. Whether it is purple, red, blue, orange or pink, you will get the color that you want if you so choose. Look online for some resources that teach you how to dye miscellaneous materials and you will surely find a method that works. While this option might seem a little pricey, it does well for you if you are in the habit of losing your contact lens case very often. If you have your name on the case, then no one will need to check with you if the contact lens case on the sink is theirs or yours. On top of this, if someone does use your contact lenses by accident, then you can show them the engraving on the bottom and tell them that those contacts are definitely yours. If you lose the case at school, then you will most likely get it back. Your chances are more likely to get it back, of course, because your name is on it. You could use stickers or labels or some other form to get your name onto the contact lens case, but with all of the solution splashing around the case, it is probably a good idea to just carve it in there. Customizing your contact lens case is not for everyone, of course, but for the few who carry their contact lens case everywhere and want it to be stylized, then you can’t go wrong with using one or two of these tips. The next time that you are out and about, consider stopping at a store and picking up some accessories for your contact lens case. You could even go to your local eye store or eye doctor and ask if they have some things to decorate contact lens cases with. Good luck with your customization and, most importantly, have fun with this. 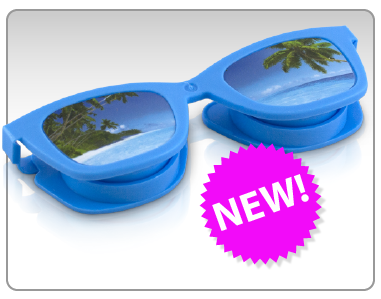 Make your contact lens as fabulous as you are.Contact lens cases. Not all contact lens cases are made equal, although you would probably like to think so. Some contact lens cases are weaker than others or are simply really annoying to open. 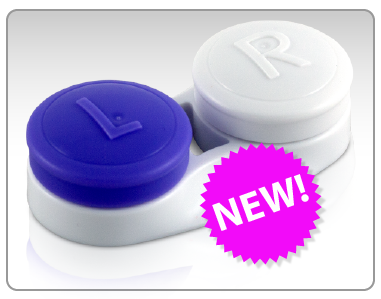 You want a contact lens case that does its function but also opens rather smoothly and quickly. Here are three things that make a good contact lens case. A screw-on cap is better than a snap up cap in many ways. First and foremost, a screw on cap does not jar open the contact case and force the lens to go flying into oblivion, never to be seen again except by a curious dog or cat who wander into the room and start ironically playing with it. A screw on cap is safer and much easier to use. On top of this, a snap up case’s bridge between the cap and the bottom of the case could crease, fold and bend until that piece snaps or falls off. You do not want to have to deal with that, trust me. If your contact lens case does not have two different cap colors, then you will definitely want to get a new contact lens case. This is because the colors on both caps allow you to associate the color with a certain eye. Probably due to conditioning, the colors train your eyes to see a cap color and automatically put the matching contact lens inside. If you are not paying attention, then you could mess up, but if you are clearly looking at the contact lens case, then you will have a conditioned response to the color of the left eye holder and the right eye holder based on their color. If you order contact lenses, then you will probably get a contact lens case with the contact lenses. This is, of course, if you are new to the world of contacts. You may or may not have to pay to replace your old contact case. However, professionals do understand that sometimes things happen and stuff gets misplaced. Hopefully you do not lose your contact lens case, but if you do happen to need a replacement for some reason, then please do not hesitate to contact your eye store or a drug store right away. You need to have a contact lens case on you at all times. Contact lens wearers do not have it easy because they constantly have to worry about bringing either their glasses or their contact lens cases or both with them at all times. It is not hard at all to find a good contact lens case, but if you do not get a free contact lens case from your doctor with your first pair of glasses (or you just simply get a terrible case from your doctor), then use these criteria to pick out a really nice contact lens case. Happy hunting and good luck with your contact lens case shopping! With holidays always coming toward the end of the year, ideas for new gifts can become scarce since things are either too expensive or highly unattainable. Now, you have two options for gifts: you can give the bigger, more expensive gift and you can buy a small amount of little gifts to stick into a stocking for fun. When you have reached the bottom of a short wish list yet you know that the person you want to purchase for is grateful with whatever you get them, then buying accessories for them to use on a daily basis is perfect! So just before you give up and try to get them that pack of socks and underwear, here are three (3) unique stocking stuffers for someone with contacts that can get you out of a tight jam. First thing is a new set of contact cases. Contact cases can come in handy when you have one at home, and one on their person when they travel. Not that it is suggested to do so, but one in the car even can come in handy in a dire emergency. In the case that the original case breaks or is lost, this can come in handy. And you never know, maybe that have been looking to replace their cases but never said anything to not bother someone else for something so small. 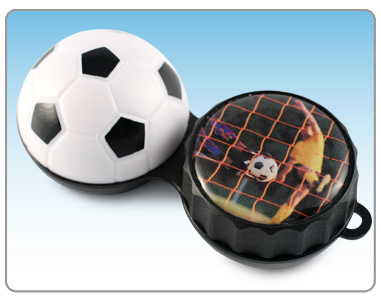 Also, you can get the newest, stylish key chain sports carriers that are available for the newest contact cases. They come in different colors and are made of different textures. Another thing that you can get someone that wears contacts as a stocking stuffer is and bigger bottle of solution for the contacts. If not a bigger bottle, many smaller bottles. Having many bottles can definitely help for any situation! Someone who wears contacts constantly will take advantage and use up their normal bottles at a quick pace to keep their eyes fresh. So essentially using this as a stocking stuffer is a great idea! In addition to the contact solution, another thing that you can use as a stocking stuffer that can come in small multiples is eye drops! There are many different types of drops for different types of eyes. Usually, your most basic drops will do, but for Christmas (or Chanukah’s or Kwanza or whatever you celebrate) this will be a good time to spend a bit more and get the good stuff. Here at Optipak, we carry a good amount of items to help you stuff that stocking and let the person you love that you are not only thinking of their wellbeing, but you are looking out for their visual health as well. We have different types of case holders that will be able to assist you with your purchase options. Even our novelty 3D cases are a great stocking stuffer for the younger people in your life. 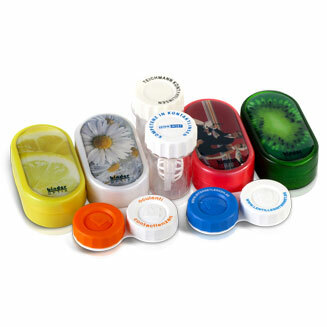 Check out our site for more information about contact cases, solutions and accessories at http://optipak.net/. Call us soon! When you avoid spending a high amount of money, sometimes going with a bulk purchase can help you in the long run. Paying for multiple of the same items at one shot can be your savior for many reasons. I mean, if one of the items breaks, if you lose it, if you simply want to change the look of what you are carrying, you quickly have a replacement. One of the things that you can purchase and have handy is your contact lens case. With this being said, I am going to give you the top reasons to get a few different lens cases, you know, for your sanity’s sake. Like one of the things that was mentioned above, if you break it, you can replace it! I mean, a contact case is one of the most sacred things to a person that uses contact more than glasses. If you’re someone that choose to ONLY have contacts, this is definitely a lifeline for you. If you break it, you run the risk of not having somewhere to place them when you want to take them off. Let’s say you are already home and you break the case. Now you have to get in your car and drive to the store to spend money on another one. If you would have had this already, this would have been avoided. And what if you lose your contact case? Let’s say that you are traveling and you lose your contact case. You have lost it! And now, after a few days of wearing your contacts, you’re not close to getting home and need to take the contacts off while you sleep to let your eyes rest. You now have to find a place that sells them, possibly at a fair price and hopefully they are close, AND OPEN! But what if you’re out of the country and you have not changed your currency to reflect that of the country you are in. Had you purchased the multiple contact lens cases you would not be in this dilemma. Another good reason, especially for your contact lens case is that, and I do not know if you knew, but it is recommended that you replace your contact cases every three (3) months. The lining inside of your contact case is made of plastic, and like the inside lining of water bottles, after a while it tends to leak off a chemical that can be harmful for both your contact and/ or your eyes. Let’s not allow that to happen. Purchase multiple cases for your eye’s sake. With these reasons intact, you should definitely confide in our products and purchase your next bulk set of contact lens cases from us at Optipak. Our online resources will be able to help you decide exactly which director to head with your options. Our website, http://optipak.net/, is designed to keep your sanity in one piece and allow for you to navigate safely to order your next set of contact cases in peace. Having an FDA approved lens case may not be something you have put much thought into before, and perhaps you have bought your lens cases in the past without considering this aspect. However, it is important that you do look for FDA approved cases for your contact lenses in the future, rather than picking any case off the shelf to store your contacts. The primary reason that the case you choose is so important is because it is holding the objects that will go on your eyes each day! These objects, the contact lenses, should be safe from any bacteria or other micro-organisms that could pose a threat to the health of your eyes. Avoid infection and irritation by storing your contacts in a secure, safe case with fresh solution each night. Be sure to fill your case with new solution rather than topping off what is already in the case, as the solution loses its disinfecting abilities after the first use. The first goal is to protect your eyes, and in order to do so, you must protect those contact lenses! A reliable case prevents the lenses from drying out and keep dirt or other degrading materials away from the lenses. A cheap case that you can pick up just anywhere may not offer the same level of durability and protection that an FDA approved case guarantees. Who says contact lens cases have to be boring? At Optipak, you can find a whole variety of shapes, sizes, and designs to fit your preferences for a lens case. Plus, they’re all totally FDA approved! Why settle for the cheaply made cases that pose a threat to your eye’s health and are also far from exciting, when you can have a case that suits your personality and style? Getting an FDA approved cases doesn’t mean you are limited to one standard type of case, but instead you get a whole variety of choices! There are barrel cases, flat cases, mirror cases and more! Depending on your needs and preferences, you may choose a mirror case so you can make use of the mirror that’s included when you’re putting on your contacts. Plus, this category even has variety within itself, letting you choose from original, leather, or roll cases! If you prefer something with a little fun and color, Optipak offers designer cases as well as seasonal. You can be sure to find something just right to turn the boring task of applying contacts into something a little more fun and colorful. The primary goal of FDA approved contact lens cases is to protect your lenses, and in turn, protect your eyes! Just because it is FDA approved, however, does not mean your case has to be boring and ordinary. At Optipak, you can find cases that match your personality and will keep your eyes healthy and safe! Most contact lenses are rounded and bumpy so that there is space to store your contact lenses with sterilization liquid. However, flat contact lens cases are the way of the future. They make the contact lenses easier to store when you are traveling. Continue reading to find out more about flat contact lens cases and why they are just so great. Regular contact lens cases are bumpy and can be difficult to carry in your bag with you. If you want something nice, simple and safe to carry around in your bag, then choose a flat contact lens case. It will free up space in your bag and it will also make it easier to carry your contact lenses around with you. Regular contact lens cases tend to have screw on tops whereas flat contact lens cases mostly have snap tops. 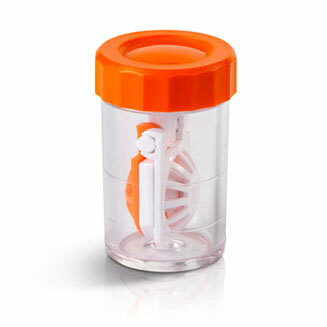 The snap tops make it more difficult for the lens case to open so that the sterilization solution and contact lenses won’t spill out of the case. You definitely don’t want to open your bag only to find out that it’s not only wet, but your contact lenses are also unusable. Flat contact lens cases tend to be the types that you can dispose of easily. This is good if you are on a tight budget and you have long term contact lenses. If your contact lenses last about one month, then you can replace your contact lens case every month or so. If your contact lenses last six months, then you might want to buy a longer term flat contact lens case. The decision is ultimately yours, but long term contact lens cases tend to be a little more expensive than their disposable, short term counterparts. 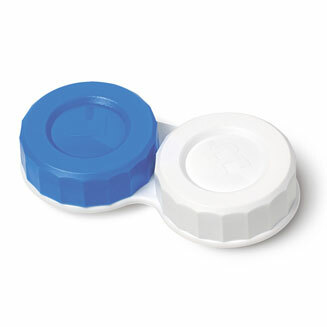 As previously stated, flat contact lens cases tend to have screw tops. The screw caps tend to get stuck when you are trying to open the contact lens case to put your contact lenses in. If you are short on time for that particular day, then having a locked cap could cause a precious minute to be wasted. With snap tops, the case will easily open and you can just pop your contact lenses into your eyes and be on your merry way to work or wherever it is that you’re headed. Flat contact lens cases rule because they are flat, small and fit in your purse or bag more easily than round contact lens cases. Along with this, they have snap tops so that you don’t want have to deal with the frustrating screw caps on the round contact lens cases. Finally, flat contact lens cases come in disposable versions. Therefore, you can easily replace the contact lens case after using a certain pair of contact lenses for an extended period of time. This reduces the amount of bacteria and contamination factors involved with wearing contact lenses. Make sure to take care of your contact lens cases regardless of which model you get. Optipak produced a Specsavers branded flat topped DigiCase for us as a promotions giveaway. The campaign was really well received and the service from Optipak was extremely professional. Thank you. Optipak produced a fully customised and branded DigiCase for our Spanish and Portuguese markets which was produced and delivered well within our specified budget and time line. Optipak answered our brief accuratly and were able to provide us with a fully customised and branded retail pack for our Acuvue Oasys brand which was extremely well recieved by our customer base.